Did you know that this week is Celebrate Your Name Week and today is Unique Names Day? I discovered that when I was surfing the net for ideas for character names for a new series with four brothers I'm thinking about writing. My favorite site for name research is the Social Security Administration's Popular Baby Names site (could be a throwback to my many years as a financial and retirement planning writer). It lets you look at the top 1,000 names for years from 1880 on. But thinking about different names and their meanings pulled me away from the SSA site. Of course, I had to look up the meaning of my name. 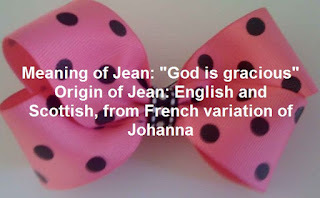 "Originally a feminine of John, Jean was popular in Scotland long before it found favor elsewhere, and had its most shining moment here in the era of Jean Harlow (born Harlean in 1911), ultimate symbol of silver screen glamour in the 1930s, but now, though there are many grandmas and even moms with the name, it doesn't seem all that baby-friendly. 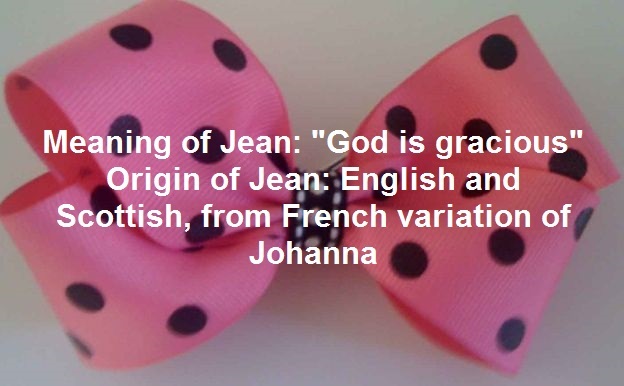 "A perennial on the popularity list until it finally dropped off in 1994, Jean was in the Top 20 from 1922 to 1936, and was extremely well used as a middle name, as in Michael Jackson's song 'Billie Jean' and tennis champ Billie Jean King, not to mention Hermione Jean Granger from Harry Potter/. It was also the actual first name of Scout Finch in To Kill a Mockingbird. Maggie Smith shone in the 1969 film The Prime of Miss Jean Brodie, and nickname Jeanie was commemorated in the Stephen Foster classic song 'I Dream of Jeanie with the Light Brown Hair,' as well as in the early sitcom, I Dream of Jeannie. Alas, Jean had fallen out of favor by the time my parents chose it. I remember going to kindergarten orientation and meeting another child named Jean for the first time, a then-current kindergartener. I didn't encounter another Jean at school until junior high school. A bit of personal trivia. My older brother and I are named after our parents, only middle name first. He's William Herbert versus Herbert William and I'm Jean Marie versus Mary Jean. While I haven't come up with names for my four brothers, I did find out the meaning of the hero's name in my most recent book—Anton "Mac" Macachek. 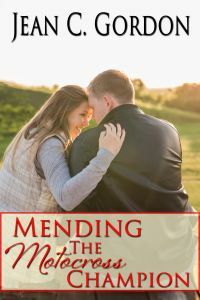 Anton means priceless one or praiseworthy, which is what Mac sets out to do in Mending the Motocross Champion. For a chance to win a copy of Mac's story, share the meaning of your name or any other comment and check back tomorrow in the comments to see if you're the randomly chosen winner. Meet the strong women and fearless men of the professional motocross circuit. Jennifer from Guinivere. White shouders or gracious. Shorten only to Jenna. Jenny is a female donkey! My older sister is Gwen, also from Guinivere. Love it, Jessica. I'm looking at Jessica (Jess) for the heroine in one of four-brothers books I'm thinking about. Michele is a French form of Michael and means Gift from God and Like the Lord. Such a cool post, Jean. I will definitely save the websites you mentioned regarding names. Thanks! Mary means, wished for child, or so I've read. Great post, Jean. Evoraah is unusual. Do you know the origin of it? How fun to learn about the origin of your name. I know the origin of my name. My mother's maiden name was Merrill. They added two e's and voila, my name Merrillee. I love "made" names. One of my daughter's friends is Janel, after her two grandmothers, Janet and Nellie. Michele Hayes -- Congratulations! You're my winner. 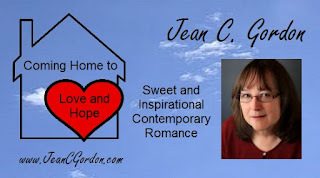 Please email me at jeancgordon@gmail.com to let me know whether you want a print or eBook and where to sent it. Jean, thank you very much, I'm very excited. I'll send an email now.